A number of victims throughout the United States have filed lawsuits against Johnson & Johnson and its subsidiary, McNeil-PPC, after suffering severe liver damage, liver failure and, in some cases, death after taking Tylenol or Acetaminophen. The lawsuits allege that the Defendant manufacturers failed to provide adequate warnings about the risks associated with the side effects of Acetaminophen, which is the active ingredient in Tylenol. The victims suffered serious and life-threatening injuries, even when the medication was taken as directed. Liver damage can lead to prolonged hospitalizations and potentially, the need for a liver transplant. The average cost for a liver transplant in the United States exceeds $500,000. In April of 2013, the United States Judicial Panel on Multidistrict Litigation issued an order consolidating and centralizing all of the Tylenol liver damage lawsuits pending in Federal Courts throughout the United States in the U.S. District Court for the Eastern District of Pennsylvania. Any Tylenol liver injury lawsuits filed hereafter in the Federal Court system will be transferred into the Multidistrict Litigation (MDL) Court for the purpose of coordinated pretrial proceedings. This is not a class action. Any case transferred to the MDL Court remains an individual lawsuit throughout the process. The consolidation of such cases is more common in complicated product liability cases, where there are a significant number of lawsuits filed regarding similar injuries allegedly caused by a common medication, medical device or defective product. If a settlement agreement is not reached after the pretrial proceedings are completed in the MDL Court, the individual cases may be sent back to the U.S. District Courts where they were filed or could have been filed originally, and they are assigned dates for trials. When the Tylenol lawsuits were consolidated in the MDL Court recently, there were only 27 Tylenol lawsuits filed against various manufacturers in Federal Courts throughout the United States. I believe this is only the tip of the iceberg, and that the Tylenol litigation will increase over the next few years as more victims discover that their liver damage or liver failure was caused by Tylenol manufacturers’ failure to provide adequate warnings about the risks associated with this over-the-counter medication. Acetaminophen is the leading cause of acute liver failure in the U.S., and has been for the past ten years. This fact has been reported by the FDA, and is well known to the makers of Tylenol. It has been estimated that more than 50,000 emergency room visits, 25,000 hospitalizations, and between 400 and 600 deaths occur annually as a result of liver damage or liver failure associated with Acetaminophen. Consequently, the FDA and other health organizations have been studying the association between Acetaminophen overdose and liver damage. In November of 2011, the British Journal of Clinical Pharmacology published the results of a study that highlighted the risk of liver damage that consumers face from a Tylenol overdose, albeit an accidental overdose. In many cases, the liver damage goes untreated because it is not diagnosed correctly during hospital visits. This, in turn, increases the risk of the individual suffering liver failure or death. The British study showed how consumers who suffer accidental, small overdoses of Tylenol can be at a greater risk of liver failure or death because the liver damage is not readily detectible at the onset of symptoms. The British study found that out of 663 patients who were hospitalized due to illnesses associated with Acetaminophen, 161 of those patients had experienced what are known as staggered overdoses, which don’t always show up in blood work done at the hospital. Such patients are more likely to need a liver transplant or die because their Tylenol overdose and liver damage went undiagnosed and untreated. 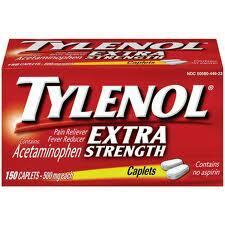 Tylenol is a billion dollar drug. For decades, Johnson & Johnson, McNeil, and manufacturers of other products containing Acetaminophen failed to adequately warn consumers about the known risk of liver injury associated with this over-the-counter medication. In July of 2011, after increased pressure from various consumer advocacy groups and an increase in the number of Tylenol lawsuits, Johnson & Johnson announced that it was decreasing the recommended maximum daily dose from 4,000 mg per day to 3,000 mg per day. However, many of us believe that action was too little and too late. The Tylenol liver damage attorneys at Suthers Law Firm believe that there could be many more liver injury lawsuits filed against Johnson & Johnson and others in the future. The firm has represented many victims injured by dangerous drugs, including over-the-counter medications, and defective medical products. If you or a loved one has suffered liver damage, liver failure or death after taking Tylenol, you may be eligible to file a Tylenol damage lawsuit. Such lawsuits are pursued under a contingency fee basis, meaning that there are no attorney fees unless a recovery is obtained, and the law firm will advance all out-of-pocket expenses associated with the Tylenol litigation. To discuss a potential lawsuit for yourself, a family member or friend, call 1-800-320-2384 or go to www.sutherslaw.com for a free Tylenol lawsuit consultation.